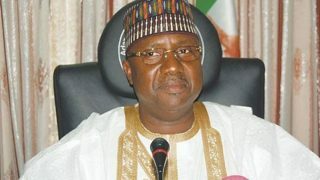 Chair of the dissolved exco, Ishola Balogun Fulani, on behalf of others had approached the court to overrule Oshomhole since their tenure was tenable for four years and also stop the Independent National Electoral Commission (INEC) from recognising the candidates submitted by Bashir Bolarinwa-led caretaker committee for the 2019 general elections. But throwing out the application for lacking in merit, Justice Olukayode Ariwoola held that the notice of appeal was brought before the court in violation of Section 14 of the Fourth Alteration Act of the 1999 Constitution.Specifically, the apex court said the record of proceedings was transmitted after 14 days required by law, thus the appeal had become incompetent and liable to be struck out. The appellants had secured a favourable judgment from a state High Court in February before it was set aside by the Court of Appeal, Ilorin Division on the ground that the case had become an academic exercise.Through their counsel, Yusuf Ali, they had approached the apex court on March 4 to hear the appeal on the ground that it was a pre-election matter that must be decided within 60 days. But the lawyer to Oshiomhile, Chief Akin Olujinmi (SAN), contested the submission, noting that the appellants premised their case on misconception, as there was no where in the court process where they claimed to have participated in any primary election.